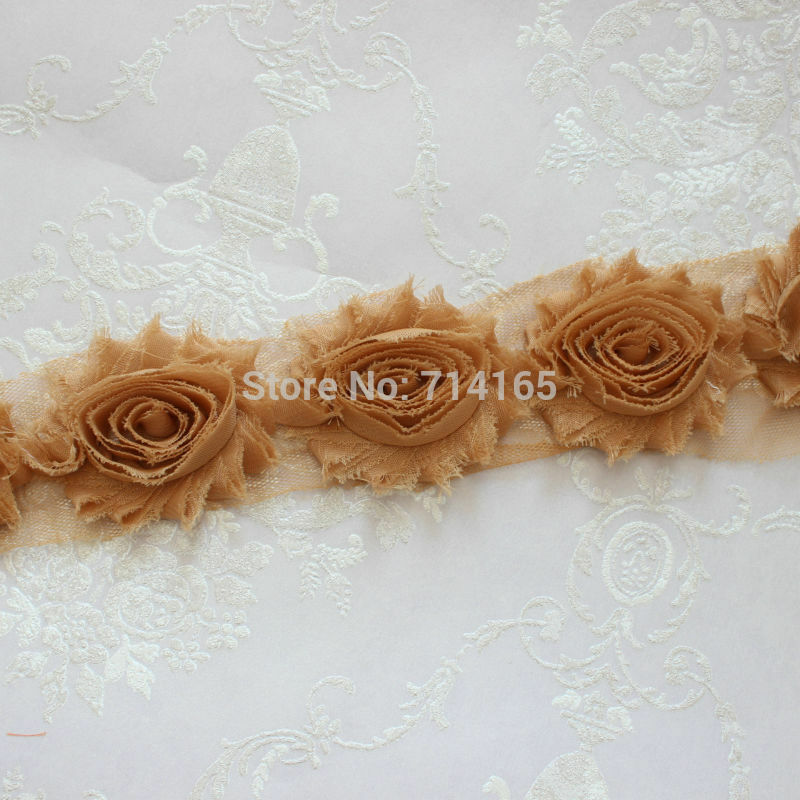 Each flower measures EXACTLY 2.5” and is made from high quality chiffon material that is easy to trim and customize. These flowers are the perfect addition to any crafter’s project whether for scrapbooking, hair accessories,adding a little flair to any outfit or whatever you can image. LOOK at my “Whole sale –Shabby” listings and you will notice the more yardage you get the cheaper the price is per yard. Mix orders upon $150, items will be shipped via EMS with free shipping.